Click Here to order Residential Environmental Hazards and Homeowners Guide to Earthquake Safety: For Homeowners, Home Buyers, Landlords and Tenants. Available in English & Spanish. Click Here to order Merchandise and Promotional Items with your logo on them. Click Here to order Office Supplies. 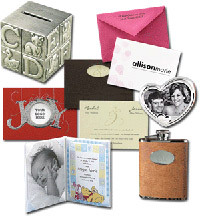 Click Here to order Cards, Invitations, Announcements, and Event Gifts & Accessories.